(MENAFN - UkrinForm) Canada's election observation mission to Ukraine CANADEM has said that the presidential election in Ukraine was free and fair. The head of the mission, Lloyd Axworthy, said this at a briefing on Monday, according to an Ukrinform correspondent. "The elections were very fair, met international standards for democratic elections and should generate confidence in the voters according to these assessments," he said. Axworthy stressed that a matter of concern was "a high concentration of media ownership." "I'd like to begin by congratulating all the candidates and the Central Election Commission, as well as district commissions and precinct commissions for their conducting a well-organized voting day. I strongly believe and, in fact, witnessed ballots being voted on with a degree of confidence that their voices will be heard. I spent as many days as you did visiting different sites and in each case the response back was that the people felt that the system was working. The essential and fundamental principle of democratic system is the participation of people," he said. At the same time, Axworthy noted that the turnout of 63% is well within the range "that many democracies around the world would be very pleased to achieve." He also added that CANADEM would remain in Ukraine until completion of the electoral process in the country. 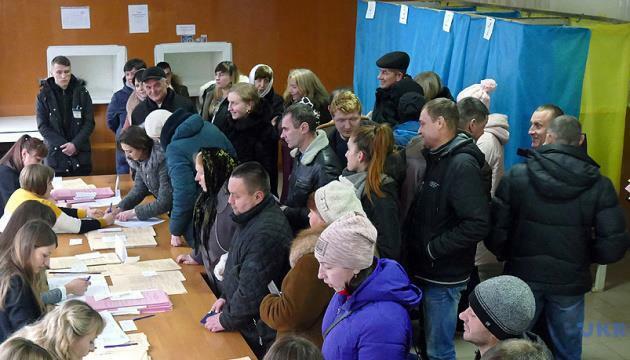 The presidential election in Ukraine was held on March 31. A second round vote is due to be held on April 21.